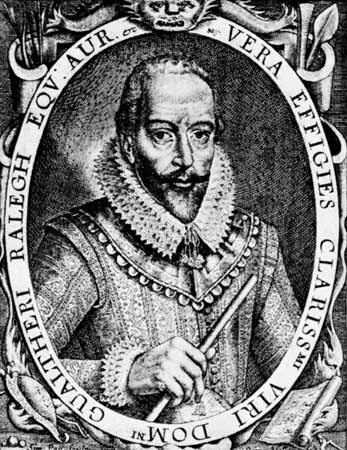 There is a legend in Guyana dating back to the sixteenth century, when Sir Walter Raleigh, hot on the tail of Columbus, mounted an exploratory expedition to the mainland coast of South America. 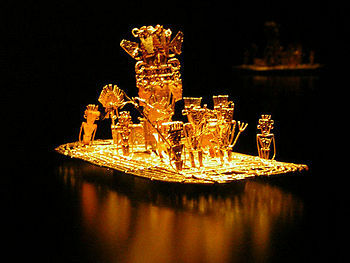 He had been lured by the Amerindian tales of El Dorado, a “Golden One” who inhabited the deep jungle interior of the Guianas and was attired completely in gold. 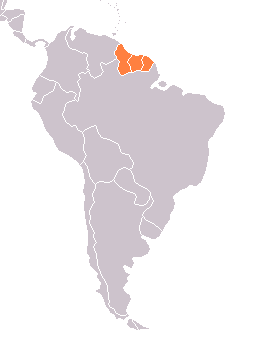 Guiana means “land of many rivers” and so it is. 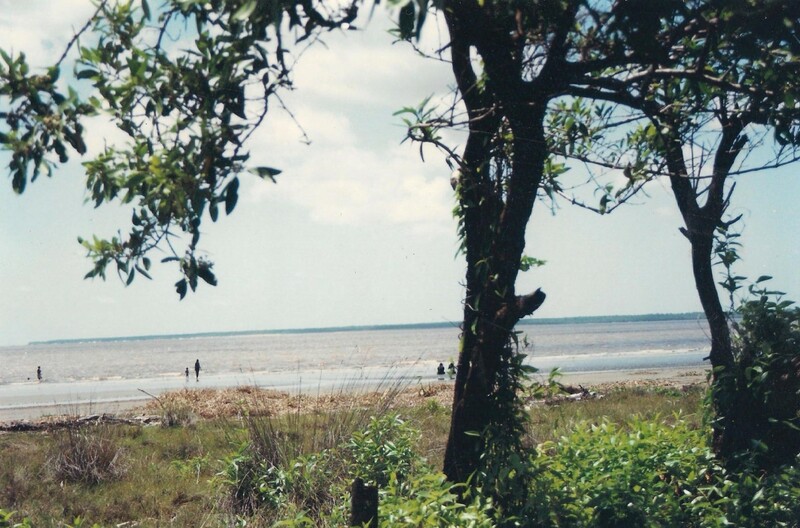 Raleigh’s explorations took him up the two largest estuaries facing the southernmost Caribbean island of Trinidad that by then had been colonized by the Spanish. 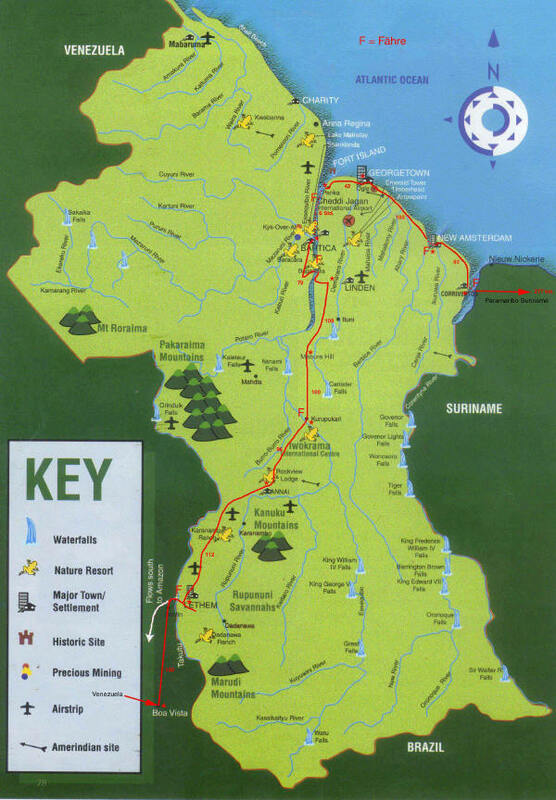 These rivers: the Orinoco and the Essequibo are in Venezuela and Guyana respectively. They are indeed the source of deposits of gold from the Guiana shield, although Raleigh himself never found “The Golden One” personified. The native Arawaks and Caribs in those regions would certainly have melted away into the forest to watch their visitors from a safe distance and protect anything of real value they had. It was far easier for them to do this in the vast interior of a continent than it had been for their unfortunate ‘cousins’ trapped in the confines of tiny Caribbean islands. However, settlers from Europe soon made inroads into the continent named after Amerigo Vespucci but discovered by Columbus, and began to find placer deposits of gold in these rivers. Available from Amazon.co.uk (kindle only from Amazon.com) from Waterstones.com or direct from Sapodilla Press ISBN 978-0-9932409-0-4 (order through your bookstores via Nielsens, Bertrams and other wholesalers. In case you encounter any difficulty with this please let me know via this website or via Facebook). Guyanese born Edwin Joseph married English history teacher Jane in 1991. The unsuspecting newlyweds’ attempt to build a life in Edwin’s little known South American country entangled them in a dangerous web of deceit, narcotics trafficking, murder and espionage. Their small business development project metamorphosed into an educational charity in an eighteen-year battle which they nearly did not survive. Edwin, a retired British soldier and ex-international decathlete, met Jane in 1984, while they were both participating in a musical production of War of the Worlds at her Milton Keynes comprehensive school. Edwin’s plan to repatriate and help his birth country came to fruition when he flew out to Dubai to marry Jane, who by then was teaching in a school there. Years of planning and their combined life savings went into their subsequent move to Guyana, but none of it was enough to prepare them for what they would face. 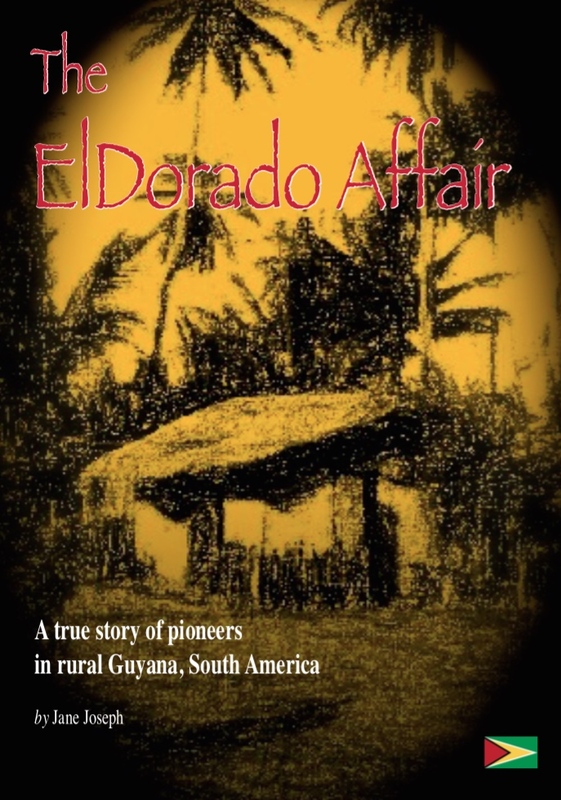 Jane’s compelling narrative transports the reader into the heart of the peasant community and political turmoil of Guyana in the 1990s as her evocative descriptions of the natural environment and often humorous local characters bring them alive. Her brutally honest and self-critical account takes us through the culture shock and mental anguish the couple experienced as they wrestled to implement their passionate convictions. She leaves us with an overwhelming sense of loss, tempered by her lingering love of the landscape, the charm of this society and the youngsters they both educated. This is a unique true story. All the events mentioned in this book actually happened to the author but some of the names have been changed to protect the identity of the people concerned. “As a way of exposing oneself to serious scrutiny Jane has gone the literal whole hog and written this account of her time in Guyana. It is intentionally an account of two people, their collected friends and family and a whole village community. While I read this I was only really interested in Jane, how she was managing and coping and how others impacted on that woman I knew and cared for. I wanted her to win and win again but throughout the reading she managed to successfully create an air of impending disaster and gloom. It is a tale that doesn’t hide the difficulties of what is essentially a post-colonial experience where so many have found a British past has consequences beyond any deserved reaction to that colonialism. It was written with pride in what are remarkable achievements yet dishes out exceptional criticism of those who might read it and want to exercise a modern right of reply in serious non-literary style. I sped through the final five chapters just praying for a romantic and straightforward end. I was left writing the film script in my head where the numerous baddies implode while Jane and Edwin look back in their dotage sat happily on a beach recalling happier days. It took some time to read because I spent so much time heading off to Google to try and reference the places mentioned in the script. I now know where Hopetown is, Jane painted the pictures of the landscape accurately enough to follow that coastal road between Georgetown and New Amsterdam and inland on their field trips. I wondered long and hard over why there were no photographs and have now decided that this adds to the mystery and menace that runs under the plots. One forgets sometimes that this is a real story of dishonesty, distrust and sometimes downright evil. Jane resists the temptation to sugar coat it as a love story where love conquers all. There is also an unveiling of a different, more robust Jane, of a lady who becomes a realist, who develops methods to take control. This is a story of emancipation of a friend…… Edwin is exposed as a now more predictable and vulnerable Tarzan despite the constant references to his heroic acts against the impending doom.